If you care about the performance of your vehicle, why not provide it with the best products, not only to boost performance, but also to preserve the engine. The most effective oils you can use for your engine tend to be synthetic, as opposed to conventional oil. This is mainly because of the intensive refining process involved in making synthetic oil. If you are looking for an oil change in the Brampton area, Valvoline Express Care offers an excellent solution. Valvoline offers several types of oils to choose from, so you can get the oil that will be most effective for your particular vehicle. Two prime examples of high quality oil available at Valvoline are the premium synthetic oils, that come in a synthetic blend as well as fully synthetic. The automotive specialists at Valvoline Express Care Brampton can help make sure you get the best oil to maximize engine protection and performance. Synthetic oils actually out-perform conventional oils in all aspects, whether we are talking about a brand-new vehicle, or a used car that has seen a lot of miles. An engine in motion means metal grinding on metal at intense speeds. Without an oil as lubricant, the engine would be destroyed very quickly. Synthetic oil acts as a lubricative coating to prevent this destruction from occurring. Conventional oil breaks down more quickly, making it a less effective and efficient option. Conventional oil breaks down more quickly and needs to be changed more often. With synthetic oil, not only will you be producing less waste, you will also be producing less harmful emissions. This means creating less smog for the environment. Less frequent oil changes results in fewer waste disposal issues. In fact, the less oil we use in general is a plus for the environment. Using synthetic oil helps create cleaner air, and a greener planet for everyone. Oil that is past its due date can begin to leave sludge deposits on your engine. As oil gets older it gets dirtier and more viscous. This is especially true for conventional oil. Since synthetic oil is far purer, much less debris and dirt is left behind in your engine. The premium synthetic oils available at Valvoline are extremely pure, providing the better lubrication and fuel for your engine. All of these factors serve to demonstrate the superiority of synthetic oil. Better performance, lubrication, and engine protection all add up to equal less required maintenance on your behalf. Synthetic oil does the job of keeping your engine smoothly, all you have to do is change it on a regular basis. Be sure to consult the owner’s manual for the recommended oil change frequency, to make sure you are following what is suggested for your specific vehicle. 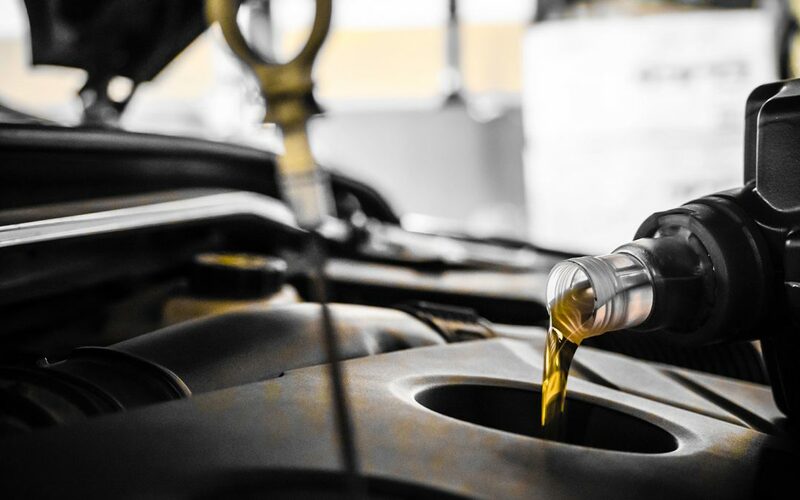 The automotive technicians at Valvoline Express Care Brampton can help ensure you get the best oil possible for your car, when comes time for a routine oil change.